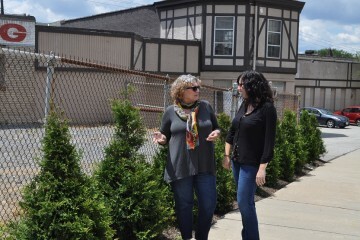 A 1,500-seat entertainment venue on Chartiers Avenue is the anchor project for an entirely revamped streetscape in McKees Rocks. In Lawrenceville, a community organization is creating jobs for the 29 percent of its population that lives in poverty. In Oakland, efforts to increase home ownership and revitalize business districts are in full throttle. But if a bill passed in the Pennsylvania House of Representatives clears its way through the Senate, those projects, along with dozens of other community development organizations and initiatives in neighborhoods and towns across southwestern Pennsylvania—including many communities in the city of Pittsburgh—could be gone with the blink of an eye. House Bill 2188, passed Tuesday evening, would put a two-year freeze on the Neighborhood Assistance Program, which includes all of the tax credits that allow many community development organizations to function, effectively suspending many of their programs and much of their work for the foreseeable future. For organizations like the McKees Rocks Community Development Corporation, it’s basically a death sentence. If passed, the bill would defund community development organizations in Bloomfield/Garfield, Hazelwood, the Hill District, East Liberty, Lawrenceville, Mount Washington, the North Side, Wilkinsburg, Jeannette and Beltzhoover—just to name a few—at various levels. But CDCs wouldn’t be the only ones to suffer if NAP were to go away. 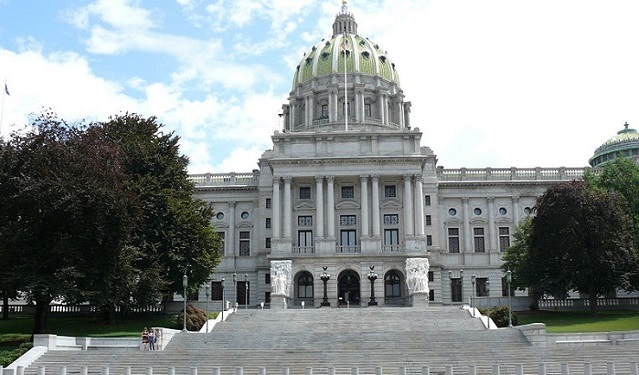 It’s part of a legislative package that state legislators are considering in an attempt to balance the state’s budget. Some on the business side are equally upset. Bill Schenck of TriState Capital says the NAP makes it easier for private businesses to partner with public organizations and nonprofits to help revive communities. Additionally, Schenck says that pulling the plug on NAP could leave entire communities hung out to dry, noting that communities believe in the plans their CDCs develop in conjunction with private enterprise. The bill would also strip $825,000 in funding from the Greater Pittsburgh Community Food Bank, $98,000 from Auberle and $36,000 from Goodwill of Southwestern PA/YouthWorks, among other organizations outside the community development realm, including research and development tax credits crucial to the continued growth of Pittsburgh’s thriving technology community. Speaking on the condition of anonymity, an official with one Pittsburgh neighborhood CDC said the bill’s passage would force their organization to lay off staff and cut programs. “We’d have trouble keeping the lights on,” he said. Across town, the Oakland Planning and Development Corporation has long-term plans to revitalize the Centre-Craig business district, make Oakland more accessible to pedestrians and cyclists and increase its community engagement and workforce development services as a part of its Oakland 2025 master plan. According to Majestic Lane, a spokesman for Sen. Jim Ferlo, Senate Democrats are working hard to save NAP, and a vote on the bill has not been scheduled.